One of the major changes that Delta announced last year as it revamped its SkyMiles and Medallion programs is that its award routing rules would change in 2015. Delta has eliminated stopovers and open-jaws on awards, which is a big negative. On the plus side, though, the airline has finally instituted one-way awards, and it recently improved its website’s award search engine dramatically. 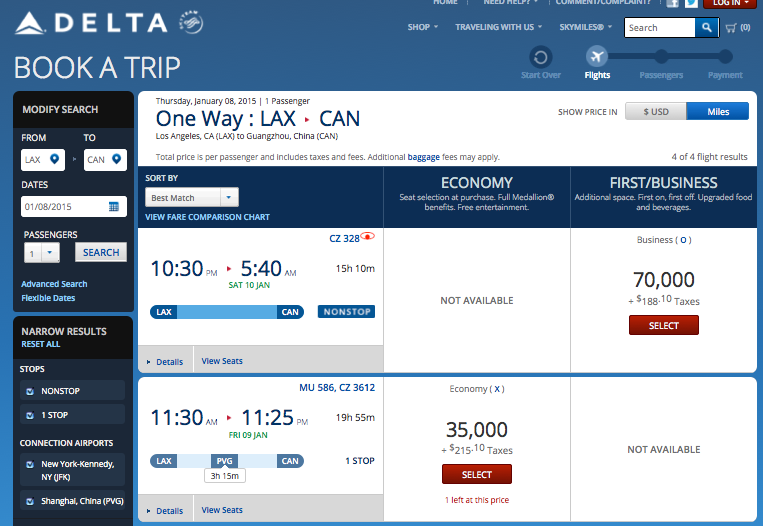 Delta.com has a much-improved search engine that now includes availability on partners China Southern and China Eastern like those shown above in March. That’s a great step since it opens up several more flights to China and beyond in Asia to North American flyers. 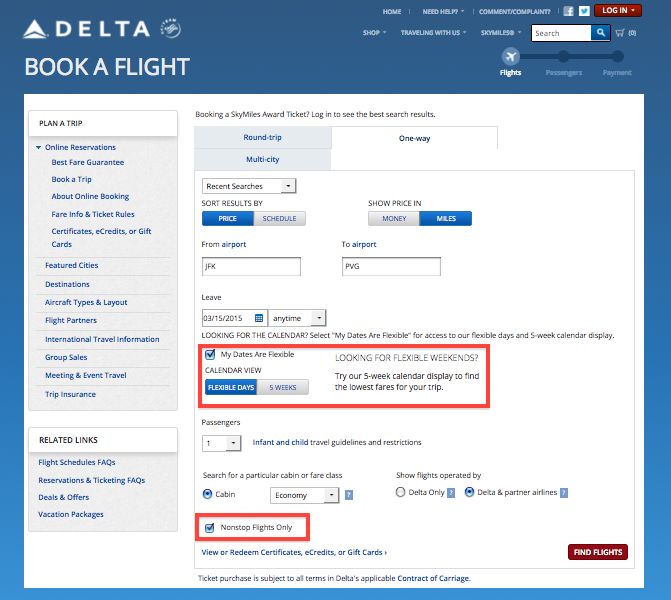 In order to get to awards on these specific airlines most quickly, use Delta’s new search options to look at flexible dates over a week-long or five-week period and select the “nonstop flights only” box. 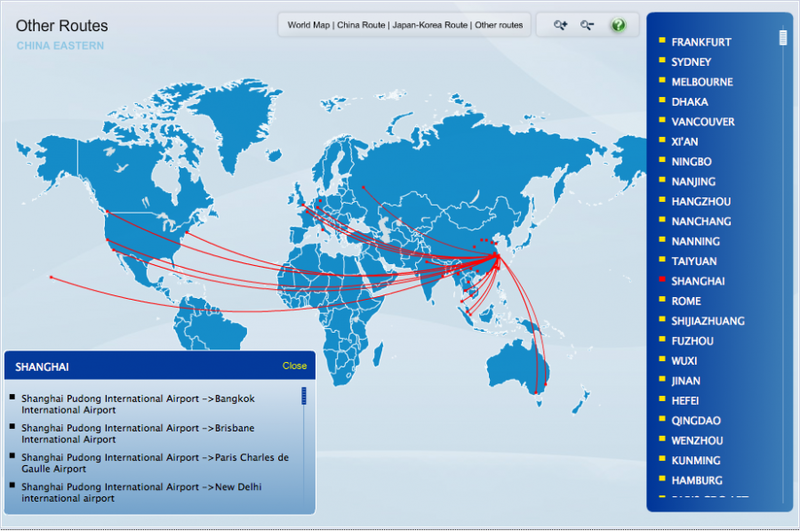 China Eastern’s routes to North America – though Toronto is missing for some reason. The airline is also finally overhauling its aging fleet, and took delivery of the first of its order of 20 new 777-300ER’s back in September. The airline put them into service on the Shanghai-New York route November 15, and plans to use them on the Shanghai-Los Angeles route starting in February, then on its route to Toronto starting in April. 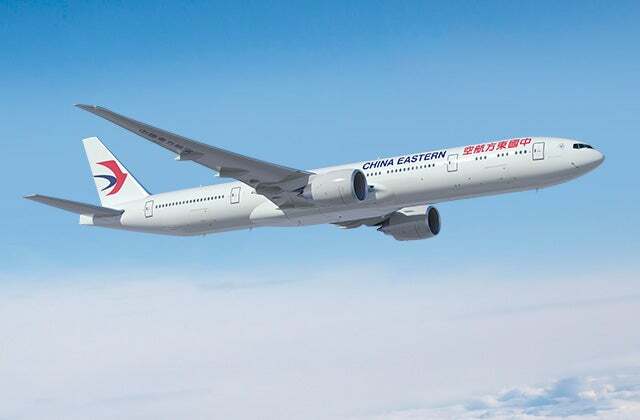 Fly China Eastern’s new 777’s to New York and LA. The new 777’s have a suite-style first class cabin with just 6 seats (though you cannot use Delta miles to book them), 52 business class seats in a reverse herringbone configuration, and 258 economy seats laid out in a 3 x 4 x 3 configuration. Just 35,000 miles each way from JFK-Shanghai in economy on China Eastern this March. If you wanted to fly it from New York to Shanghai this spring, for example, you would need 35,000 Delta miles each way in economy, or 70,000 miles for business class. Taxes and fees are around the $200 mark each way. The LA-Guangzhou route is aboard the airline’s flagship A380 and award availability for both economy and business class tends to be pretty good. Here’s a sample award in March. As you can see, taxes/fees tend to be about $200 each way to fly these partners from North America to Asia. The A380 has 8 closed first class suites, 70 lie-flat business seats and 428 economy seats, so there tends to be pretty good award availability with 2 business class awards open on most flights. 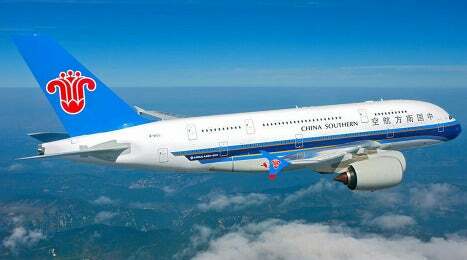 Award availability on China Southern’s A380 route from LA-Guangzhou tends to be pretty good. China Southern’s 787 has just 4 first class seats and 24 business class seats, so award availability can be a bit tighter due to size constraints, however, it is still generally good. 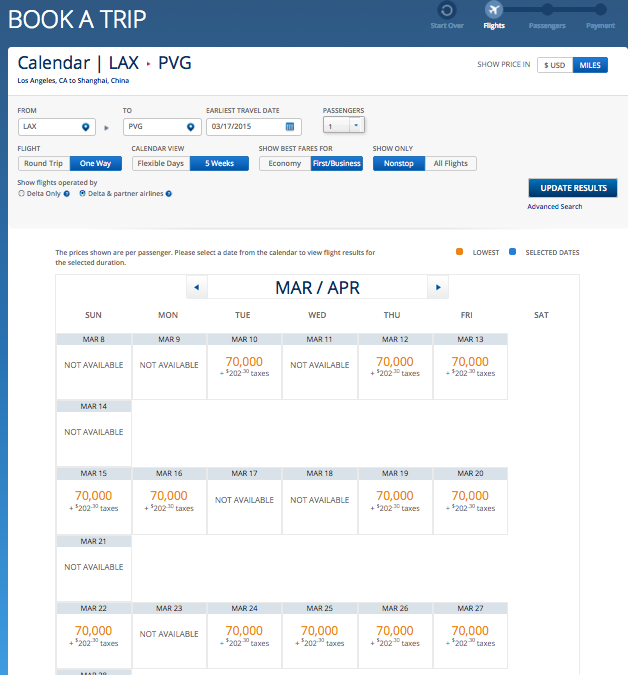 All in all, this is a great development for Delta’s formerly lackluster award engine and a big boon to travelers looking to book awards to Asia.